← Why Does the Church Exist? 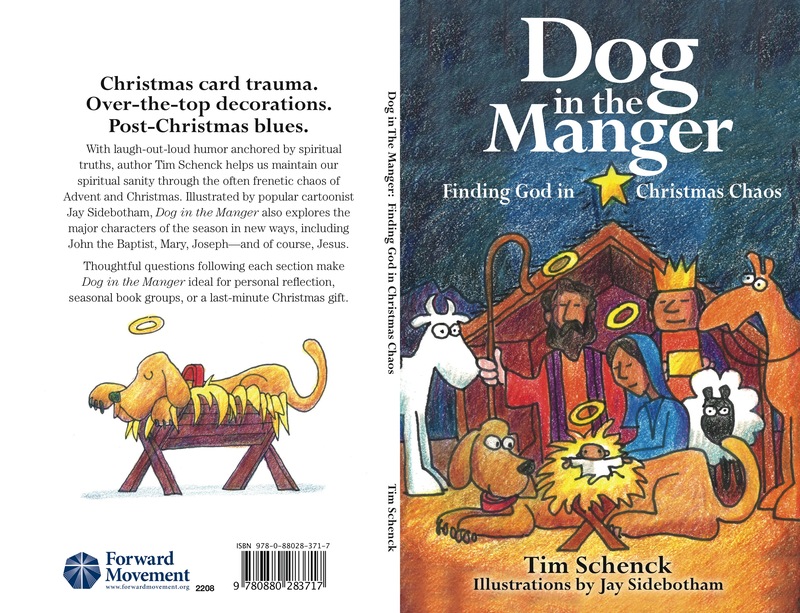 While my own copies are “in the mail,” my new book Dog in the Manger: Finding God in Christmas Chaos is now available! Below is the press release which includes a nice quote from my archnemesis, Forward Movement Executive Director Scott Gunn. If the kind words shock you, just imagine him saying them though gritted teeth. I may or may not have said something complimentary in the Acknowledgments section — you’ll just have to buy the book to find out (and that, my friends, is what we call a “teaser”). If for no other reason, I suggest you pick up a copy for the accompanying cartoons alone. 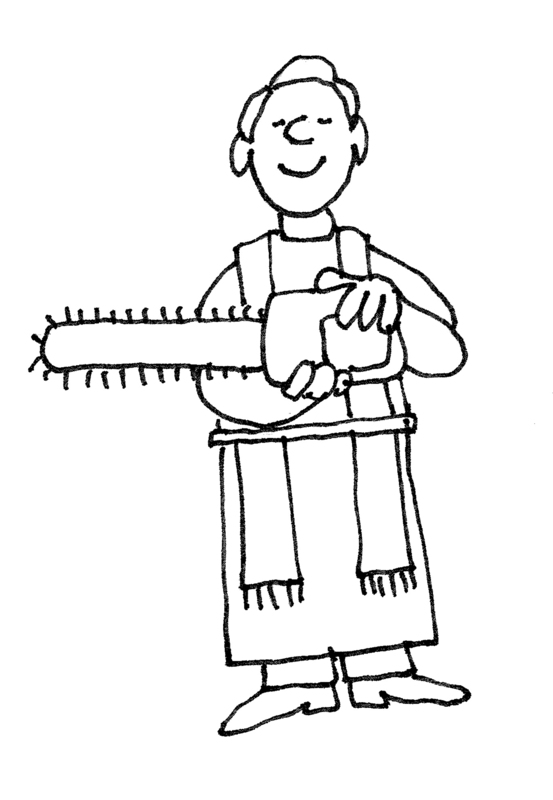 Priest and cartoonist Jay Sidebotham is at his whimsical best, capturing the essence of each essay and conveying the inherent humor — scroll down to see a couple that appear in the book. As I’ve said before, I’m hoping people will buy the book because they think it’s one of Jay’s now famous annual church calendars. A brilliantly diabolical marketing scheme by the folks at Forward Movement! The book makes a great, cheap ($10) last-minute Advent or Christmas gift. As I think about it, it would be perfect to give to friends and family for St. Nicholas Day on December 6th since it’s the ideal size to jam into a shoe. Also, for clergy friends, you can use it for a fun, interactive Advent series — there are reflection questions following each section. I’m personally using it as a two-part series on Advent spirituality for parents but it’s appropriate conversation fodder for adults of any age. Anyway, I do hope you enjoy it. It was fun to pull these essays together and it kept me off the streets during the Lent Madness offseason. Forward Movement is pleased to announce the publication of Dog in the Manger: Finding God in Christmas Chaos, written by the Rev. Tim Schenck and illustrated by the Rev. Jay Sidebotham. With its laugh-out-loud humor anchored by spiritual truths, Dog in the Manger helps us maintain our spiritual sanity through the often-frenetic chaos of Advent and Christmas. Illustrated by popular cartoonist Jay Sidebotham, Dog in the Manger also explores the major characters of the season in new ways, including John the Baptist, Mary, Joseph – and of course, Jesus. Thoughtful questions following each section make Dog in the Manger ideal for personal reflection, seasonal book groups, or a last-minute Christmas gift. The Rev. 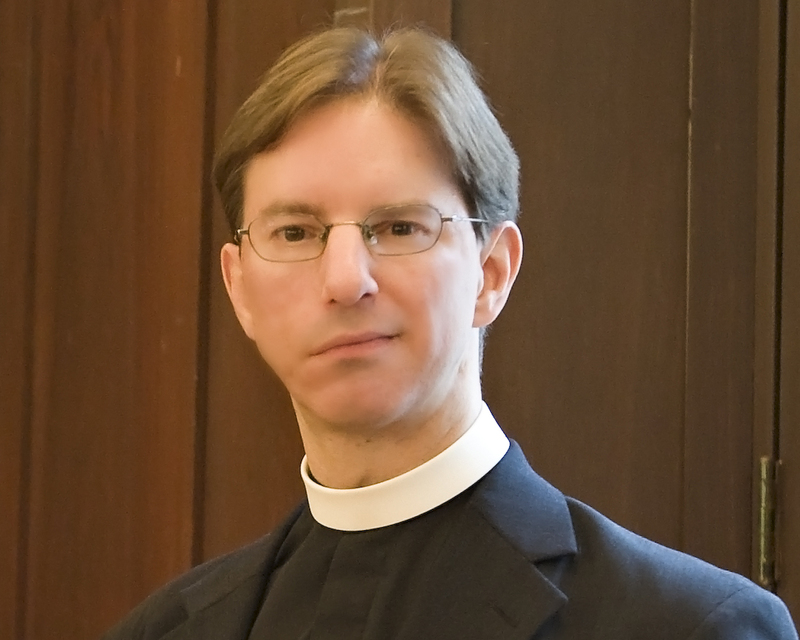 Tim Schenck is rector of the Episcopal Parish of St. John the Evangelist in Hingham, Massachusetts, and the creator of Lent Madness. 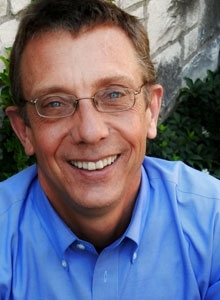 He is the author of What Size Are God’s Shoes: Kids, Chaos, and the Spiritual Life (Morehouse 2008) and writes a monthly syndicated column for Gatehouse Media titled “In Good Faith.” When he’s not tending to his parish, drinking coffee, or blogging at Clergy Family Confidential, he’s likely hanging out with his family. The Rev. Jay Sidebotham is well-known for his cartoons about church life and his animation work on the television cartoon Schoolhouse Rock! He is the director of RenewalWorks, a ministry of Forward Movement. He served for many years as rector of Church of the Holy Spirit in Lake Forest, Illinois, and has served congregations in New York City, Washington, D.C., North Carolina, and Rhode Island. 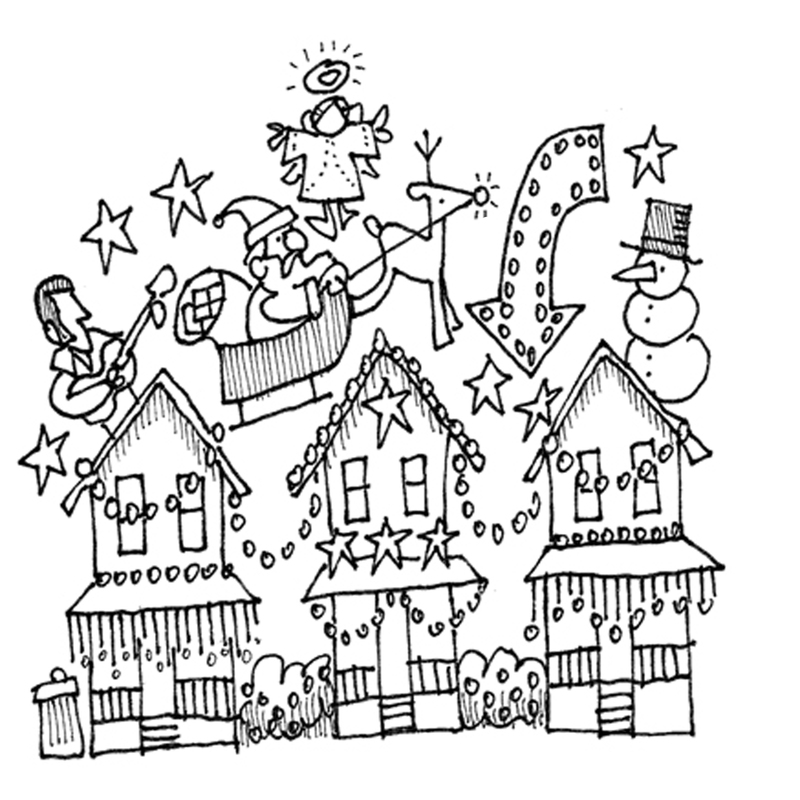 To order Dog in the Manger: Finding God in Christmas Chaos, click here. Forward Movement works to nurture discipleship and encourage evangelism by providing print and digital resources to all who wish to deepen their spiritual engagement. Based in Cincinnati, OH since its inception in 1935, Forward Movement is widely known for Forward Day by Day. Forward Movement is a ministry of The Episcopal Church.